Since 1983, we have been focusing on leading engineering products in the field of hydraulics, transport systems and complex components for the electrotechnical industry. Emphasis is placed on design and technological innovations; we invest heavily in new manufacturing technologies for machining, welding, assembly, painting, testing and tooling. 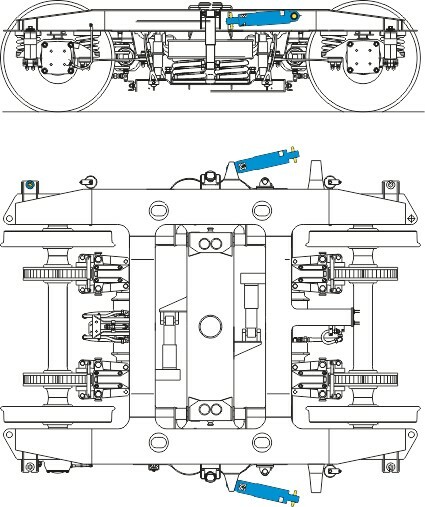 We produce telescopic shock absorbers in 5 type series, with dozens of modifications for different types of shock absorbing: primary, secondary, transverse, between bogies, between carriages, railway engines, electric and diesel units, trams or metro cars. We cooperate with key customers to develop shock absorbers so that new products reflect your ideas and needs. Special hydraulic rotary shock absorbers for extremely low mounting space requirements, where telescopic shock absorbers cannot be used. 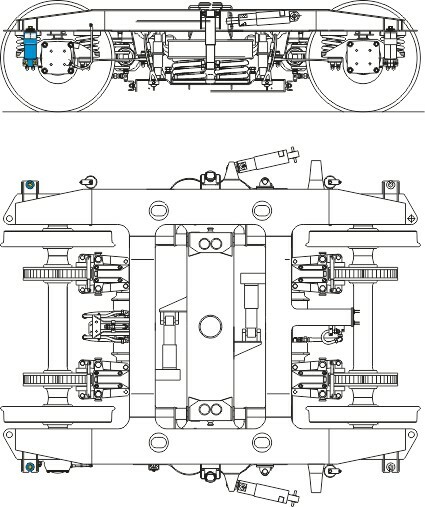 Shock absorbers fitted with an analogue or digital sensor read the piston rod stroke path. You can use the data from the sensor in the control unit of the train to set up the cabinet height or for an emergency stop of the train. Enable bogies to be angled to an arc, thus reducing track wear. 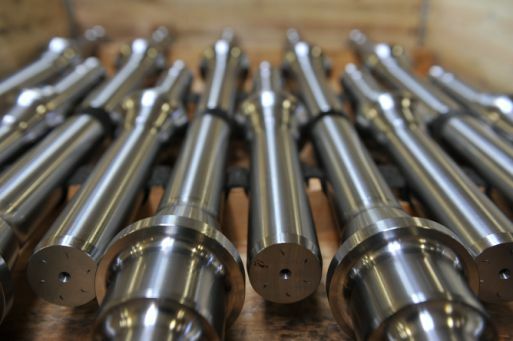 Precisely-machined hydraulic components and sub-assemblies. Our hydraulic shock absorbers in 5 type series of our own design serve to shock absorbing of all rail vehicle bogies. The oil-flow system consists of slide valves or plate-springs valves. 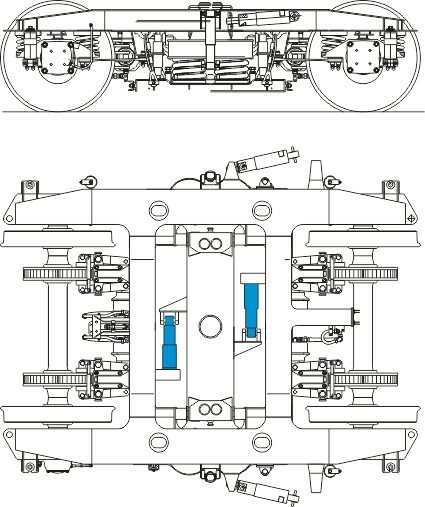 In addition to standard shock absorbers, we offer rotary shock absorbers for low-floor vehicles with low mounting space requirements or shock absorbers fitted with the sensor of a piston rod position for vehicles with a variable height of the bogie. Shock absorbers are manufactured in a modular manner with different lengths, shock-absorbing forces and end fixing elements. 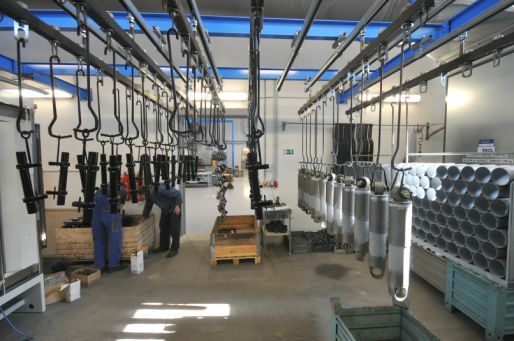 As the only manufacturers of hydraulic shock absorbing systems in the Czech Republic, we strive to meet your individual technical requirements. We adjust supply quantities also according to your lower-than-minimum-quantity requirements in fast delivery times. We offer repair and service for all our products. Thanks to the special facilities for dust-free assembly, we have unified assembly processes for the entire portfolio of shock absorbers. The assembly environment is always of constant temperature and air humidity. Modern tools and one-off jigs are a guarantee of process reliability of all assembly operations. 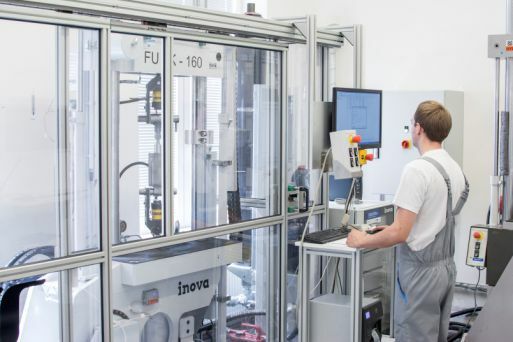 The production process is continuously monitored: from the input of material, through the system of in-process production controls to final product testing. We check each product according to established control procedures. For checking the functionality and required parameters of shock absorbers, we use hydraulic testing devices INSTRON, which guarantee the independence of the measurement results. Long-term life tests and testing under the conditions of extreme temperatures from –50 °C to +80 °C are conducted on a similar device. We connected the test device to an electronic control unit connected to the ERP system where we archive all measurement records. We started our own development right after the establishment of the company. Since 2010, we have cooperated in the area of shock absorbing equipment for rail transport with LIEBHERR TRANSPORTATION SYSTEMS GmbH. Apart from developing our own products, we cooperate in the field of testing and develop test facilities. We have developed specialized equipment for frost tests and for the detection of pressure ratios inside hydraulic systems. These devices serve to gain a better understanding of the behaviour of the shock absorbers under extreme conditions. We intensively cooperate with scientific institutions in the Czech Republic, which deal with shock absorbing systems.